Anne was in many ways the luckiest of all Henry’s wives. She outlived all of the others – and outlived Henry VIII himself by ten years. Her more peaceful and fortunate life can be put down to the fact that she just wasn’t Henry’s type. She was described by the French ambassador, Charles de Marillac, as tall and slim and ‘of middling beauty’; however when Henry rode out to meet his betrothed at Rochester he complained that ‘She is nothing so fair as she hath been reported’. Despite these misgivings the couple were married at Greenwich in 1540 by Thomas Cranmer. Their first night as husband and wife was not a happy one. Henry confided to Cromwell that the marriage had not been consummated, saying, ‘I liked her before not well, but now I like her much worse’. Whereas Henry admired educated women, Anne could not play a musical instrument, nor was she very literary or cultured – preferring needlework and cards. She had received no formal education as a child. She could read and write, but only in German. She is described as having a peaceable personality; and although it may not to have sparked passion in Henry it seems to have led to a lasting friendship. Thomas Cromwell had brokered the marriage to try to form an alliance with Anne’s family against Emperor Charles V. After first meeting Anne, Henry urged Cromwell to find a way of breaking off the arrangement without endangering the alliance – but at the time this seemed impossible. When the marriage was not consummated on the wedding night Henry had cause to seek an annulment. Anne did not contest it. Henry was very grateful for Anne’s co-operation, and she received a generous settlement. 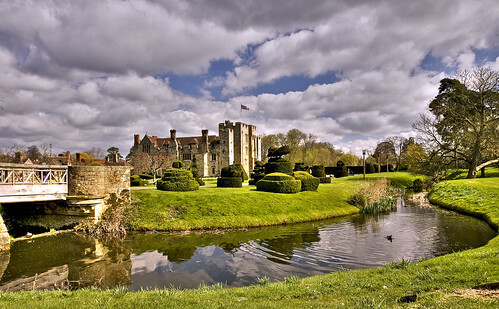 She was given Richmond Palace, and Hever Castle, home of Henry’s former in-laws, the Boleyns. Henry and Anne became good friends – she was referred to as ‘the King’s Beloved Sister’, and Henry decreed that she would be given precedence over all women in England save his own wife and daughters. Better perhaps to be ‘not so fair’ and ‘of midding beauty’ after all! PS Take a look at more of Sez D’s excellent photos here – it is well worth a look! Yes, she ended up being the luckiest girl in the end didn’t she? Knowing Henry’s reputation for throwing his wives out with the rubbish, can you imagine what must have gone through Anne’s (still attached) head when she realized she wasn’t Henry’s type? Poor girl. Gosh! It doesn’t bear thinking about – does it? I’ve just been trying to write a post about Kathryn Howard – but at the moment it all seems to terrible – and I’ve moved on to something else! Apparently she practised laying her head on the block all night long before being executed in the morning! She has always been the most interesting of the 6 queens to me, and not least because she showed the most fortitude and magnamity. She couldn’t go back to Cleves after the disgrace of being rejected by Henry so it must have been very hard for her. But she won the respect and admiration of all, and apparently became a keen gardener who was closed to Henry’s daughters. I didn’t know she turned out to be a keen gardener! I feel she must have been a likeable person to have made the best of such a difficult situation – not really incurring the shame that might have been expected from the annulment of her marriage – and, more than this, to have won Henry’s friendship. Seven hidey-holes for Catholic priests in one house. It’s fascinating to me that there was such demand for Catholicism in spite of Tyburn Tree and the 180 or more priests who were hung, drawn and quartered there through the clever spy system of Queen Elizabeth. It is also fascinating that so many hundreds of Englishmen were willing to cross over to the continent to be trained in seminaries there and then to be smuggled back into England to keep the Catholic faith alive. What’s happened to all that history? Even the Tyburn Tree has been demolished. Perhaps history will right itself eventually and the English will finally be allowed to understand why they are members of a state church. I would like to, kindly, advise you, that my Dear Ancestry Grandmother the German Princess and English Queen Anne of Cleves, with my Ancestry Grandfather the English Monarch King Henry VIII have had together two Royal Children. Their first-born Royal Child was their little Princess, born, in Sept/October 1540, which, then, became, my next Ancestry Grandmother, and their second Royal Child was the “Fairy Boyee”, born, in January 1542, when this truth, about these their concealed Royal Children, have been exposed, by the servants, which loved their English Queen Anne of Cleves, very much, and wanted her, to live, also, officially, with her Royal Husband, and not just secretly. But however, in this moment, when this have been revealed, our Dear Ancestry Grandmother the English Queen Ann of Cleves, according which, all things and all beings, in this world, which were and which are clever, have been named, have immediately lost both of her Royal Children, at ones, as they had to be, immediately, sent, secretly, to exile, on to the Slovak Territory, of the Holly Roman Empire, where they, then had to live, without Mother and Father, in poverty and need and discriminations, and where all their Royal Descendants lives, this way, even, until today! Dear Ancestry Grandmother the German Princess and English Queen Anne of Cleves, such disgracing her, and also us, all her Descendants, totally untrue things. She is my maternal strait line Ancestry Grandmother, and she was the most beautiful and the most decent, merciful, kind, and the most humble Queen, this World ever had! And this, I know absolutely exactly! Because exactly the same human character and beautiful look, have and had, also, all her Royal Descendants, – also my dear Mom, my dear Grandmother, and all the Ladies and Girls, in our Family, which are the Royal Descendants of this English Royal Family. Please, be so kind, and just, read very carefully, and cautiously, everything about her, and do not believe any illogical statements, about her. Please, just, Open your Eyes and see, that she was a very beautiful Lady. Holbein did not lie, he was a GENUINE ARTIST! And nothing was “flattered”, nothing was “old fashion”, she just have done something, which no one, in this world ever did, which caused, then, just, quite logically, this “strange/loving” behavior of my Ancestry Grandfather the King Henry VIII, towards her. But all this illogical, disgracing her, slanderous words, against her, putting her down, were just made up, by her enemies, wanting to get, instead of her, and instead of her Royal Children and their Royal Descendants, on to the English Throne. But our Grandfather the King Henry VIII loved her very, very much!!! Just look, what he gave her, and how he treated her, made her the most richest Lady, in England! But on the other hand, he wanted to protecting, her, and also his most Precious Dear and Beautiful Royal Children, as otherwise, no one from us, would be here, today! His first three Children died, without being able, even, having children, is this not strange, enough? And the Royal Descendants, from their both Royal Children, even, despite of the poverty discriminations and very hard life, they, still, live in Slovakia, even, until today! Thank you very much and Best Regards to all! Prince of England from Cleves Ludovit Bialon. 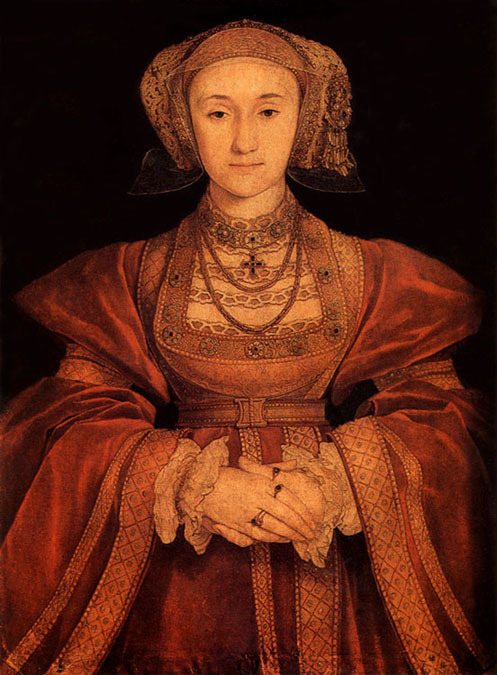 What if any information do you have on Anne of Cleves parents relatives? Thanks for any thing that you have in your files!! Don’t have anything specifically about this – however, it might be worth asking if anyone else reading this can make any suggestions?